Fun fun, indeed, just like the movie that’s named after it. For such a sad song, it sure has made a lot of people happy. Even four year olds love it! According to Dee Dee Ramone, Joey wrote this song after watching a mother go after her kid with the titular sporting implement. This one has been covered by many, including Pearl Jam and Marilyn Manson. We dare you to name another song with that distinction. For all his sneering, Joey Ramone was a softy deep down. “I Wanna Be Your Boyfriend” best encapsulates this romanticism. Named after a street in Minnesota, this not-quite-two-minute gem is featured in the movie SLC Punk. Dee Dee Ramone knew the Queens beach was “not far, not hard to reach,” which is one of the reasons he frequently visited it and wrote a song for it. When Thurston Moore covers your song on Gossip Girl, you know you’ve done something right. One and half minutes of perfection. 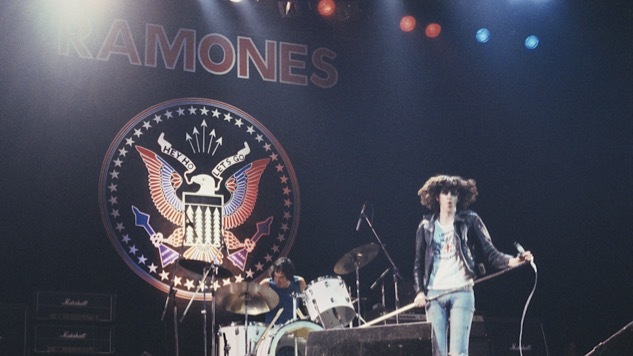 The most iconic riff in the Ramones’ arsenal, maybe in the history of punk rock. If you don’t think this is No. 1, you’re simply kidding yourself.